Heirloom seeds, heirloom vegetables and heirloom gardening are becoming increasingly popular today. Many people are turning or returning to home gardening for a variety of reasons, and heirloom seeds figure prominently. Some of these include an interest in fresh, local and healthy foods; others need to stretch the family food budget; some need additional exercise, preferably outdoors; and still others are searching for the lost flavors of the family garden when they were growing up. An heirloom is anything of value (though not necessarily economic) to a person, family or group passed down from one generation to other. Examples are furniture, China, silver or seeds. An heirloom is generally considered something worth passing down. An heirloom seed, therefore, is seed from a plant that has been passed from one generation to another, carefully grown and saved because it is considered valuable. The value could lie in its flavor, productivity, hardiness or adaptability. Many heirlooms have been grown, saved and passed down for more than 100 years. Some have history reaching back 300 years or more. To have been saved and preserved for so long, these seed varieties have shown their value to many people and families for an extremely long time. Open-pollinated is another term sometimes used interchangeably with heirloom. They do not mean the same thing, as an open pollinated seed is simply a variety where the seed can be harvested from the plant, saved, replanted, and the same variety will re grow year after year. This is how we have the heirloom varieties that we have today is because they are open-pollinated. All heirloom seeds are open pollinated, but not all open pollinated seeds are heirloom, as there are new open pollinated varieties being introduced that are obviously not old enough to be considered heirlooms. An example of this is the Oregon Spring tomato developed by Dr. Baggett, Oregon State University through traditional plant breeding for early germination and productivity in the cool Oregon spring. Organic certification is the process of certifying a crop grown to a strict uniform set of standards. The certification process includes inspections of farm fields and processing facilities, detailed record keeping and periodic testing of soil and water to ensure that growers and handlers are meeting the standards which have been set. The USDA sets the standards, and the criteria for meeting those standards. The certifying agency such as Oregon Tilth, CCOF, QAI and OCAI verifies that the grower is meeting the standards set by the USDA. In short, “organic” means only that a crop was grown to a specific set of standards. 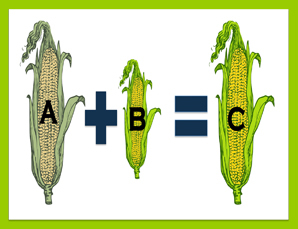 A hybrid seed is produced by artificially cross pollinating two genetically different plants of the same species, such as two different tomatoes or two varieties of corn. The cross pollination is done by hand, and a seed that is saved will not grow true to either parent. Thus the farmer or gardener has no choice but to purchase new seed each year. Hybrids are typically bred for commercial use and profit to change the characteristic of the resulting plants, such as higher yield, greater uniformity, more even ripening, improved color and disease resistance. Flavor has only recently begun to be addressed when selecting characteristics for new hybrids. 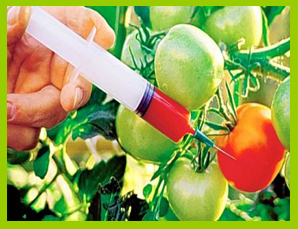 Genetically Modified Organisms or GMO seed have been altered using DNA from completely different species and organisms to give different traits such as resistance to herbicides and acceptance of chemical fertilizers. Some GMO corn, for instance, manufactures its own herbicide in its root structure. Some DNA donors have come from fish, frogs and bacteria. The major crops that are genetically modified are corn, cotton, soybeans and wheat. Sugar beets and alfalfa have recently been deregulated, and potatoes are being studied. Most common garden vegetables are not yet genetically modified simply because the financial return in the market is not present yet. 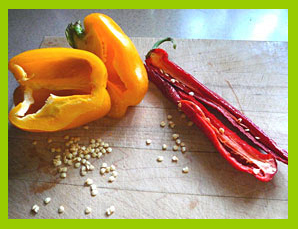 Two of the better known benefits of heirloom seed include adaptability and flavor. Some varieties of heirloom tomato have been known to adapt to a specific location within as little as 2 to 3 growing seasons, showing better vigor, better production, better flavor and increase disease resistance. This is a result of saving the seed and replanting it year to year. Many people come to heirlooms in search of flavors that they experienced as a child. One of the leading characteristics of heirloom varieties is defined by the depth of flavor that they produce. This single characteristic has been one of the major reasons for the preservation of specific varieties over great spans of time. This is probably one of the biggest reasons for the resurgence of heirlooms in home gardens in the past 10 years, as once people experience the amazing range and depths of flavors that heirlooms offer, they are hooked. Taste is once again becoming a viable characteristic in variety selection for the home garden instead of only production quantity, uniformity, and disease resistance.